1. Experimental, kitchen-produced hybrid of folk, musique concrète and psychedelia by ODETTA HARTMAN. She raised by pioneering parents on the Lower East Side of Manhattan, NYC, Odetta’s milieu was a “colorful culture of artistry,” that included early exposure to community activism, renegade film screenings, poetry readings and trips to CBGB’s. Inchoate punk and hip hop were aural wallpaper, as were the 45s spinning in the household jukebox featuring her dad’s extensive collection of soul and afrobeat records, as well as her Appalachian mother’s classic country selections. 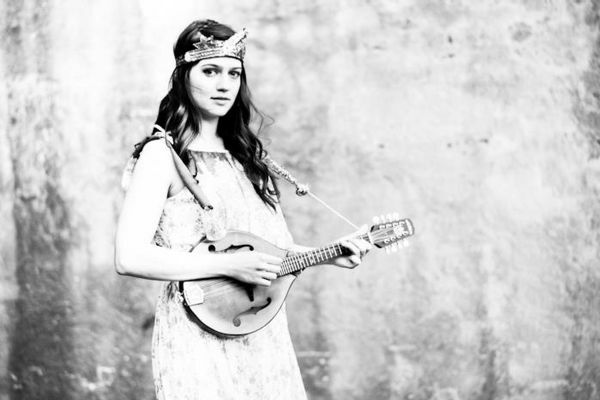 A classically trained violinist with a penchant for back-porch banjo, Odetta combines these variegated sounds of her childhood with her personal passion for folk music and the musicological legacy of Alan Lomax. But she never takes herself too seriously and always tries to have fun, so she went to the kitchen. “Many of the beats on the album were recorded in the kitchen: the snare sound is actually a running faucet, or if you hear these glockenspiel bells that’s actually a set of kitchen bowls. Other percussive elements include scissors, a pepper grinder and keys on the radiator.” Anyway she loves mistakes in songwriting or recording, because they so often lead to something greater. I do not know how many songs got its final form by mistakes on this album, just know that is weird and wonderful. Her second album OLD ROCKHOUNDS NEVER DIE is slated for release on NORTHERN SPY RECORDS and MEMPHIS INDUSTRIES on August 10, 2018. 2. THE DUE DILIGENCE is a free form band of songwriter Isaac Gillespie and his friends. The new alum LIFE IS HARD is the final piece of a trilogy. It was started with the country-soul album “I Will Wreck Your Life” in 2011. It was the encapsulation of the years Gillespie spent in the antifolk scene. The second part was the frenetic Velvet Underground-infused sarcasm of 2014’s Are You Down. It’s the wild night on the town, but it’s also the morning after. A recognition of the difficulty of life. LIFE IS HARD is largely inspired by songwriter Gillespie’s grandmother’s passing, and her perseverance through the many challenges of being a single mother and a child of immigrants in the 1950s. LIFE IS HARD is both the death album and the pop album. It provides a trash-gospel meditation on the tug of war between the lusts that drive us and the deaths to which we’re driven. It was inspired by the psychedelic soul of Sly & the Family Stone and the “plaintive mythologizing” of Grateful Dead. It will be released in June on PAPER GARDEN RECORDS (US). 3. Atlanta’s SUBSONICS are a gutter-glam, minimal rock’n’roll trio. FLESH COLORED PAINT is their 8th album. Like all their previous works, this is a distilled hodgepodge of decades of popular culture and classic literature culminating in a collection of short and groovy shambolar: Chuck Berry, Albert Camus, AM radio rock jocks, Bo Diddley, Golden Age TV, surrealism, Mad Magazine, kung-fu flicks, Herman Melville, Little Richard, self-negating philosophy, David Johansen, The Bible, Dee Dee Ramone, Lee Van Cleef, Cornell Woolrich, advertising jingles, Dada, Carole King, Bugs Bunny, and Casablanca; the poem, not the film. The album was released by SLOVENLY RECORDS. 4. New Yorker PARQUET COURTS is a punk band. Hard to say anything else. OK, compared to Total Punk Records style punk bands they rather play pop music. Their influences come from Velvet Underground, Ramones and Talking Heads, but I also hear The Fall and even Country Teasers in their music. I remember their first album was a big revelation for me. There the sound was more punk than on the next ones. Fortunately unlike many others they don’t write the same record year by year. And now with the new album WIDE AWAKE we arrived to New Orelans. 5. 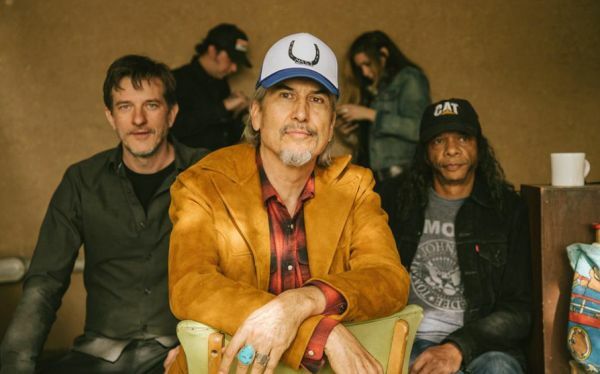 Howe Gelb refused to cancel their first Los Angeles live gig when his band Giant Sandworms had broken up days before in Tucson, Arizona. Instead, he headed out anyway with Scott Garber, the newest member who’d only been in the band for about a year. Gelb asked fellow Tucsonan Winston Watson who lived in Los Angeles to jump in as drummer for the live date. And he did it with no rehearsal. The result was so sparked with adrenalin, that the trio set up an impromptu studio session the next day to attempt to capture the sonic thrust on tape. Later they recorded some songs to make it to a full LP with a different drummer in Tucson. The album Valley Of Rain was released in 1985 under the name of GIANT SAND. But at the time of the recording Gelb was unacquainted with the possibilities of tube amps. So 30 some years later, now that the band had been put to sleep indefinitely, those very first songs had begun creeping into the last Giant Sand tours. It somehow seemed appropriate to give them another shot with the proper amp just to see what they could’ve been. What made the idea more approachable was the availability of both original drummers living back in Tucson. And they recorded the songs again together with the two newest member. And the sound is insane. 6. After a few months spent abroad in Spain and her infatuation with Brazilian music, Chicago based Vivian McConnell was inspired to create a dreamy new genre she calls “nap-rock” and to assume the moniker of V.V. LIGHTBODY – the name of her piano-playing grandmother. The ocean-like tunes on the album BATHING PEACH combine the vivid lyricism of Joni Mitchell with the jazz-inflected chords of Sam Prekop’s early solo records. Unanchored in a sea of glitching mermaids, V.V. LIGHTBODY is a surreal reflection of McConnell’s experiences and influences that coalesce into an intimate narrative of self-discovery. 8. So here is PALBERTA‘s new album ROACH GOIN’ DOWN on WHARF CAT RECORDS (US) soon. The best phrase which best describes the music of these girls is: wap wap wap dabbada ding ding dack dabbada. 9. THE DREEBS have been making music in New York since 2009. Over the next couple years they would find a home in the Brooklyn noise rock community, while staying true to their specific sound palette. 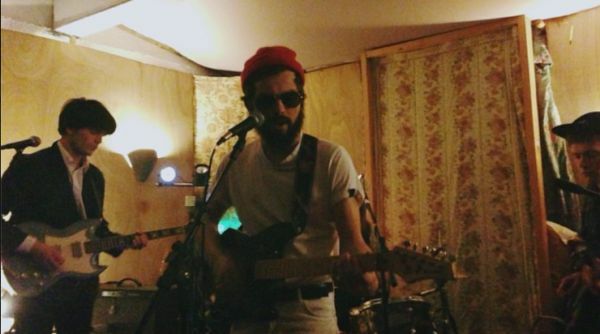 The best if their friend Andrew Savage (Parquet Quarts) tells you about the band and their new album FOREST OF A CREW on RAMP LOCAL RECORDS (US). First a little catch up for the unacquainted: Every member of The Dreebs has, at some point, been a member of PC Worship (that is if the players in the notorious New York City collective could ever be called members). The Dreebs were first described to me years ago as PC Worship’s weirder side project, which immediately caught my attention because, how could a band be weirder than PC Worship. I’m not going to even attempt to quantify that because it’s utterly impossible. Though over the years, we’ve seen a sort of Dreebian declaration of independence by their increased presence in the New York City DIY and avant-garde scenes. That independence has been loudly articulated in the form of Forest Of A Crew. It’s the sum of eight songs and seven instrumentals. These pieces wash over the listener like vignettes of a fever dream, punctuated with moments of terror and beauty. It exists not in romanticized New York of old where artists could survive in squalor so long as they existed in inexpensive and undesirable locations where no squares fear to tread. Rather, the hellscape of The Dreebs is of a different variety, where even Bushwick is unaffordable and the decision to live as an artist in the city has become a perilous one. 10. THE COMMON COLD is an English psychedelic rock band whose sound incorporates elements of Krautrock, post-punk, and northern soul. It has been formed by two friends Ajay Saggar and Mark Wareing, the duo had served time in legendary British punk band Dandelion Adventure many years before. Two years ago they took to the stage for the first time together nearly after 30 years to play a set of psych jams. Later they got three drummers, but one time just two play. They got the influence from Kaleidoscope, Neu!, Quicksilver Messenger Service, and The Fall. On their debut album SHUT UP! YO LIBERALS! on ACTION RECORDS features former drummers of Cornershop and The Fall. 11. 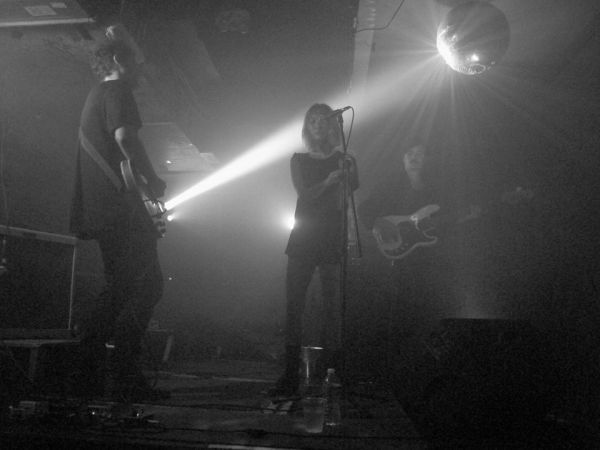 SECOND STILL is an LA based post-punk, cold wave wave band. Best describe them the names of the labels which release their music: Manic Depression, Weyrd Son and Sentimental Records. Their new EP EQUALS was released on WEYRD SON RECORDS (Belgium). I was so lucky that i saw them in Budapest not long before. It was a frantic night. 12. APOSTILLE is the solo electronic project of Night-School Records‘ head Michael Kasparis. His second solo album CHOOSE LIFE will release on 8 June on UPSET THE RHYTHM RECORDS, and it’s the greatest new wave synth-pop music what I heard recently. Minimal and courageous. It’s not a simple thing. Through EBM and acid techno finally it reach to Prodigy. 14. “Searching for the light in the pouring rain” is the motto of THE GOLDEN DREGS. It’s the project of Benjamin Woods with a musical approach inspired by 70’s Americana and jam bands, The Grateful Dead, Bob Dylan’s The Basement Tapes, and the documentary movie about the Mussel Shoals Studio. The debut album LAFAYETTE is jangly summer-summoning pop for the hours when the sun is disappearing below the sea. What it plays out is a rich representation of small town living; from the churn of the rumour mill to the assortment of intriguing characters that only seem to exist far away from motorways, Itsu chains and the relative anonymity afforded by city living. It was recorded with contributions from some of the town Falmouth’s best musicians – the Cleave brothers (The Red Cords), Samuel Stacpoole (Holiday Ghosts), Jake Wilbourne (The Black Tambourines) and plenty more. And released on ART IS HARD RECORDS. And good to listen to it. 15. ONYX was the avant-garde electronic duo of American songwriter and instrumentalist Judd Stone, and British vocalist and fashion model Beveur in the early 80s. The only instruments they used are drums /percussion and synthesizers – except for a primitive drum machine track that is used on “Planet X”. All of the instruments are played, and there is no syncing or sequencers used on any of the recordings. The bass tracks are keyboard bass. And what they recorded it is still fresh. COMPLETE WORKS 1981-83 will release in June on Osaka based Franco-Japanese label MIND RECORDS.